Last Week: Nailed It! – There was some wind Saturday between the storm fronts. Rest of Today: Getting to this a little late today. However, I would say the rest of the evening should be rideable from Frankfort up to Pt Betsie in the 15 to 20 range out of the SW.
Saturday: This day looked better a couple days ago. There is going to be some wind in the 15 knot range out of the south tomorrow morning from Holland up to Muskegon. The problem is that it is the same time we are supposed to get rain and possible storm action. I think keeping an eye on the radar and wind meters would allow for a session. That’s what I’ll be doing at least. 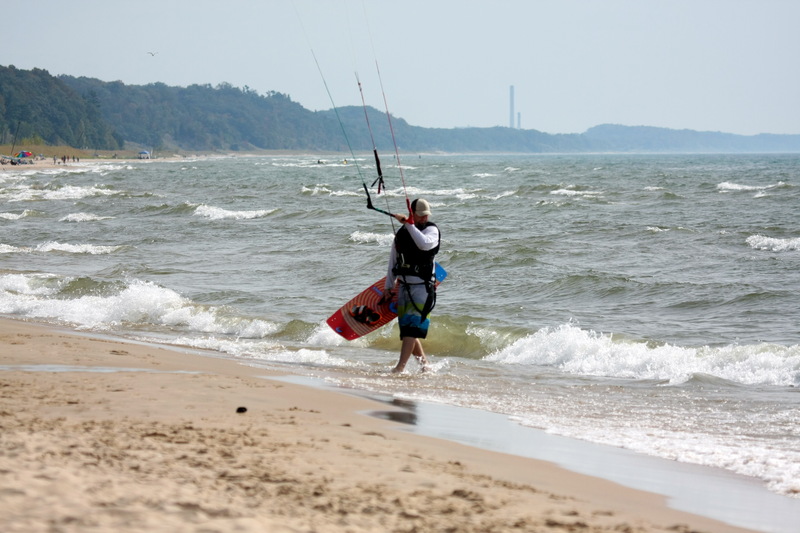 Sunday: Virtually no wind for the entire lakeshore. The morning hours could make for a great calm clear paddle on Lake MI.